In this crazy life, it can be difficult to slow down and appreciate your surroundings, even when you want to. One way that you can make your life more peaceful is by practicing mindfulness. Mindfulness is a system of engaging in your current circumstances by taking notice of your physical and emotional experiences. A body of research indicates that this practice can lead to improved physical and mental health. Does that sound good to you? If so, here are some tips for incorporating the principles of mindfulness into your everyday life. You can start your mindfulness practice from the moment you wake up. Hitting the snooze button always seems so satisfying, but several studies have indicated that doing so actually makes you less alert for the rest of the day. If you get out of bed the first time your alarm rings, you will be more awake and capable of engaging in your surroundings all day long. Meditation is an important feature of mindfulness, and yoga is its traditional physical outlet. Pairing the two is a surefire way to invigorate yourself for the day ahead. All you need is a ten-minute routine to wake up your body and mind. Accomplishing this small but significant task first thing in the morning will arm you with the mindset you need to meet your daily goals. People often rush through their meals without a second thought. However, food is an essential part of life, and you can acknowledge its importance by eating mindfully. Mindful eating is not about meticulously counting calories. Rather, it is about respecting your body and the world around it. One way to do this is by choosing foods that are both nutritious and sustainably sourced. 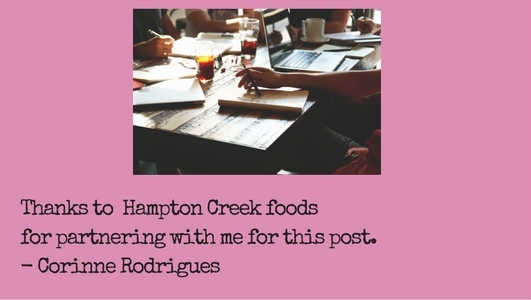 For example, Hampton Creek foods are made by a company whose goal is to change the way we consume food for the better. They combine healthy ingredients with responsible manufacturing practices for some delectable results. Once you have chosen foods you feel good about putting in your body, you should make an effort to be fully present to the experience of eating. Instead of chowing down as fast as you can, take time to notice the tastes and textures of your food. Not only will enjoy what you are eating more fully, but you will also be more grateful to have it in front of you in the first place. 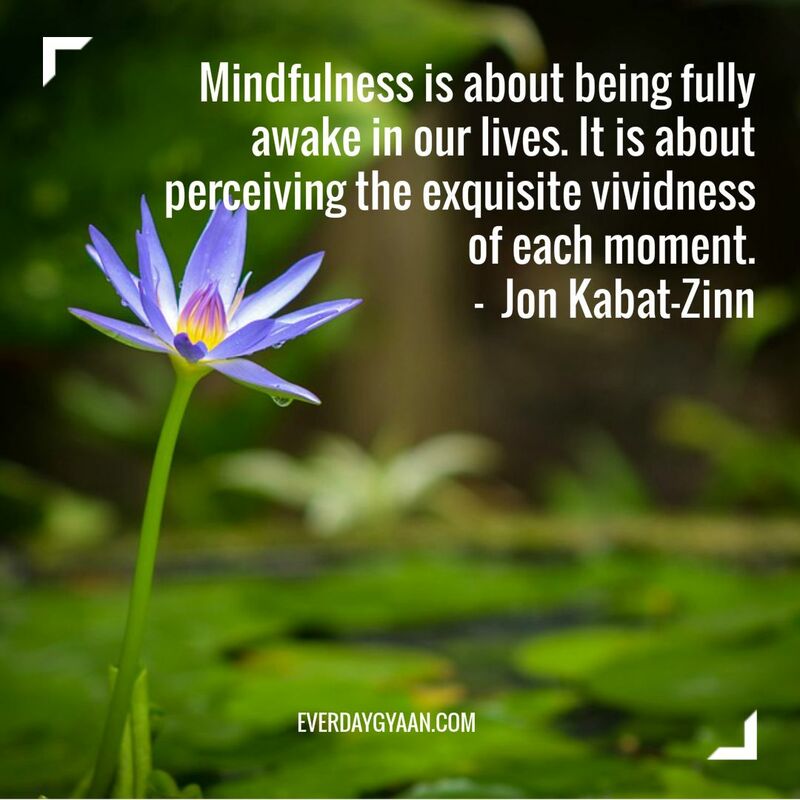 Another important aspect of mindfulness is being fully engaged in your surroundings. You can put this principle into practice by focusing on having better conversations with your friends, family, and coworkers. Demonstrate that you are listening carefully by maintaining eye contact and having an open posture. Instead of just throwing out an “Oh, really?” every once in a while, ask specific follow-up questions about what the person you are talking to is saying. Active listening engenders meaningful interactions, which help you forge deeper connections with the people who are important to you. Having a relaxing nighttime ritual is just as important as having a stimulating morning routine. Instead of zoning out with brain candy, try reading books or watching programs that engage your intellect. Turning off all screens at least thirty minutes before you go to sleep will help you wind down for the evening. One hallmark of practicing mindfulness is keeping a journal, and your screen-free time before bed is a good time to make entries. Write down five things you are thankful for, or simply document what happened that day. It does not matter exactly what you write as long as you are engaging in some form of reflection. If you prefer not to meditate in the morning, doing it just before bed could be a helpful relaxation technique. After you have gone through your nighttime routine, you can turn out the lights and drift off to sleep. Your life is busy, and it is probably not going to slow down on its own. Instead, you have to learn to create your own peaceful oasis in the midst of all the chaos. Approaching life with mindfulness will not solve all of your problems overnight, but it can certainly put many of them into perspective. By cultivating the ability to appreciate each moment, you will feel more at peace with the world around you. There is no time like the present to start making every day count. I was so surprised to be told, several weeks ago, that my mother in law had practiced meditation years ago. In the United States, years ago, meditation was considered a practice for those who did not practice mainstream lifestyles and she was always “mainstream”. But she was onto something. Now, we know better yet we still rush through our harried lives, not realizing what we eat, not listening to the bird singing before sunrise, not watching the sun in its moments before setting. Those are some of the ways I try to practice mindfulness, but I have a long way to go. Thanks to the stress that my CA exams gave me, I resorted to meditation. Truly, life has never been better. A wonderful post, Corinne. I practice mindfulness at dawn daily! Such great tips. In looking back at my life I wish I was more in the moment for experiences in my 20’s. Now I truly try to be present and not have those regrets. To be awake in the present moment, and to pay full attention to the here and now…..very few are able to do that now…A very useful post. Having suffered a heart attack, then recovered from a double heart by-pass operation and later an operation to remove a goodly part of my gut, I practice “mindfulness” from dawn to dusk every day. I switched off the snooze button a long time ago in order to live every minute of the day. All great points – I am making a commitment to myself to practice yoga and meditation twice a week. Awesome advice… I follow certain things like mindful eating, no snooze button and read spiritual book before sleep. But, fail to meditate… 🙁 Wonderful read! Each of us is a work in progress, Dipannita.